The Football Association of Malawi (FAM) says world football governing body, FIFA will chip in on Burundian player Niyikiza Aimable who has now been signed to Big Bullets. According to Casper Jangale, FAM’s Transfer System Manager, the issue of Aimable who entered Malawi as a refugee fleeing from war stricken Burundi remains complicated. “Indeed the law says that international players should be issued with an international transfer certificate but the issue of refugees is very complicated, “said Jangale. Niyikiza Aimable (18) his future hangs by thread. Jangale further narrated that the FAM will not start only on Aimable move but it will also look into the refugees team that is playing in Central Region Football Association League (CRFAL). “We can not only look on Aimable move, we have also a team of refugees in CRFAL, so I think we should ask FIFA to help us in these cases,” Narrated Jangale. According to reports, Niyikiza joined Mzuni Fc and was registered as a Student of Mzuzu University, a development that Mzuni Fc officials failed to prove. Aimable played the whole first round of Malawi Super League for Mzuni Fc but during the league’s break he joined Big Bullets Fc only a fee Malawi24 understands in MK 150 000. It is said that, Aimable wrote a resignation letter to Mzuni claiming he had no contract. 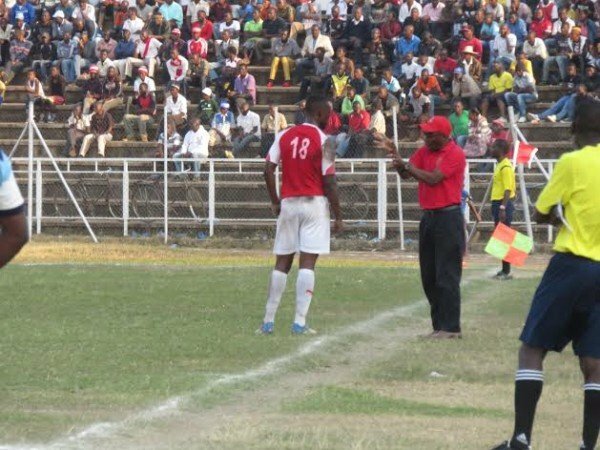 Mzuni Fc officials sued Big Bullets to Super League of Malawi (SULOM) for player tapping in which Bullets was charged and then paid K250000 to Mzuni as a player grooming fee. Then Mzuni was discontented with the ruling and asked FAM to intervene in which it has said will ask FIFA to clarify. Currently, a refugee, Niyikiza Aimable is playing for Big Bullets fc. Hello…… We are a lovely family from United Kingdom and we are here looking for a serious worker in our home and in our hotel like a serious AU PAIR/NANNY/CHILD CARE,DRIVER/CUSTOMER SERVICE JOB,CHEF/HEALTH AND MEDICAL SECTOR,HOUSE SITTER/HOUSE KEEPER,CAREGIVER/COOK/NURSING,SECURITY/GARDENER,HOTEL ATTENDANT/NURSING/BABY SITTER,BUSINESS MANAGEMENT/ MARKETING and so many worker like that are needed in our home and our company needed urgently. If you are interested in our job offer and kindly contact us directly to our email contact address…… Khan.muham200@gmail.com so that we can tell you what to do next on how you can come over here and process all your traveling document to come over here. Hope to hear from you soon. eee koma masapota a bullets amaziwa kudandaula ndikulira amafuna pachilichonse akhale okhoza ngakhale ali olakwa. #BULLETS MASAPOTA AMENEWA UMAWATENGA KUTI EISH??? Koma a FAM kukhomerera kod munadana nayo chan?Ali ku Mzuni mwatilipitsa pano mukuti a FIFA atibelexo! Tionetsana A Jangale nd azimzanu mukulephera mukufuna kuononga mpira?Aimable nd wa BB. pepani! ee mpaka fifa,bola isalakwe! Mmmmm shame kodi nsanjeyo mupanga mpaka liti??? 22. Worry as potholes emerging on airport runway. 23. China bringing officials to look after parliament building, as Malawians fail to look after it. ….akuluakulu,Malawi pa 3rd world inadutsa. Pitala watitengera patali kwabasi. Apapa tafika pa 4th world ndithu. Zikomo Kumpando.